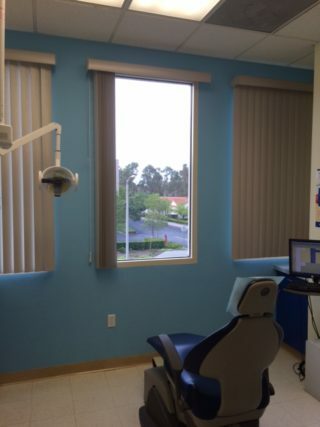 If you are missing teeth, dentures provided by Rancho Santa Margarita dentist Scott Karafin can restore your ability to chew, speak, and smile with complete confidence. Dr. Karafin works closely with our offsite laboratory to provide fully customized traditional and implant-supported dentures. Contact us today to learn more about how modern dentures can help you achieve a better quality of life. – The contemporary version of traditional dentures is more comfortable and natural-looking than past generations. Dr. Karafin works with dental technicians who use top-of-the-line materials for the acrylic base, and stain–resistant materials for the prosthetic teeth in your denture. – Partial dentures replace multiple teeth in the upper or lower arch. Prosthetic teeth attach to a base, and the device clips onto healthy natural teeth for stability. Dr. Karafin offers Valplast® partials that feature gum-colored clasps for an inconspicuous attachment. He will take time to discuss the options and pricing with you, and he will gladly answer all of your questions. – If you would like your partial or full dentures secured to dental implants, Dr. Karafin will work with a trusted oral surgeon or periodontist, overseeing your entire case. Once the implants and jaw bone have become fused, Dr. Karafin will design and fabricate your dentures. When secured to dental implants, your dentures will allow you to bite into juicy steaks and corn on the cob without a second thought. 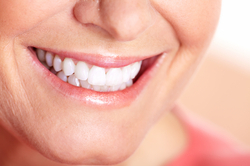 Dental implants provide the ultimate support for full and partial dentures. Dr. Karafin understands that showing off a beautiful, natural-looking smile is as important in day-to-day life as comfortable oral function. He uses a lab that offers quick turnaround time and a rush service. The entire process, from the first meeting to fitting your completed dentures, typically takes three to four appointments. Whether you need dentures the same day as a teeth extraction, or your current dentures are damaged, Dr. Karafin can fit you with temporary dentures. You do not have to leave our office without a functional set of teeth. If you have undergone implant placement surgery, healing can take three to six months. During your healing phase, Dr. Karafin will evaluate your progress, and modify your temporary denture, as necessary, for a proper fit. We are here to help you every step of the way towards fully restoring your smile. Everyone deserves to have a smile that not only allows them to chew and speak properly, but also makes them feel confident in their appearance. Dr. Karafin can provide dentures that help you look rejuvenated, and allow you to enjoy meals and the company of others to the fullest. If you are suffering with a smile compromised by missing or damaged teeth, please contact us today to schedule a consultation.